Eco-tourism is becoming incredibly popular. One study found that 87% of tourists want to travel sustainably this year. Eco-tourism is applying to digital nomads as well. It is predicted that by 2035 there will be an estimated 1 billion digital nomads roaming the planet. It may sound cliché and abstract to some as there has never been an international digital nomad census carried out in the globe. However, to some degree, it is true, because more people are transitioning from the standard model of 9 A.M. to 5 P.M. model of work. In this mobile trading technology age, old work norms are disappearing, while opportunities to work remotely are gaining course. 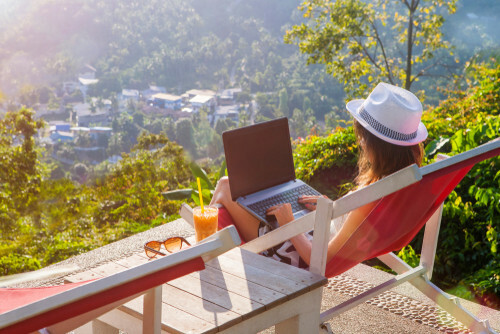 Traveling around the world may sound glamorous, but digital nomad life is hard work. It is even harder when you are trying to do so in a green, environmentally friendly way. The beach mobile selfie that you’ll take may paint out the excellent experience you are having, but it doesn’t accurately portray the difficult and impractical aspects of digital nomad life. Rolling up to any city in the world, plug your device in and start trading sounds simple, right? Well, that’s the common mistake most digital nomads do. One thing to always put in mind is planning your trips or the cities you’ll go based on your nomadic lifestyle. It’s because where you work from plays a crucial role in your success as a digital nomad. Due to that reason, we’ve come up with top eco-tourism tips and destinations for digital nomads in 2019 to shoehorn your work around them. The capital city of Argentina offers an entirely different scene for nomads looking for swapping the dreamy and greenery beaches for excellent architecture. The city has a great vibe, and outstanding hospitality is contagious, which is one of the reasons it is a leading destination for eco-tourists. While it may not be the cheapest city in the world, it is possible to survive on a budget while living little ways out from the city center. There are several co-working spaces with excellent Wi-Fi that matches this mobile trading technology age. After the digital nomad boom in 2012, Bali moved from being a destination of the bohemians, hipsters, hippies, and other eco-tourists to a go-to destination for business-minded travelers. Co-working spaces are spread all over ranging from corporate spaces to noisy cafes. Most of these co-working spaces have decent power-points and decent internet to ensure you carry out your trades with no delays. Back again to Asia – and the largest city in Northern Thailand. This is another surprisingly popular eco-tourist destination. From the bustling nature and city to ancient temples, Chiang Mai is a destination that would definitely stir up your creative side. It’s one of the cheapest city in Asia from street food, accommodation to co-working spaces. In this mobile trading technology age, Chiang Mai got you covered as they have open-air spaces and 24-hour cafes with decent internet. Did you doubt that Mexico City was an eco-tourist center? Thing again. It is a favorite destination for digital nomads and other eco-tourists to settle down because of the start-ups and businesses that are launching all the time; therefore, attracting more opportunities. Accommodation is mid-range and can easily fit into your budget. Additionally, you can save money by enjoying the local street food. When you are not working, you can enjoy the boundless culture, stunning architecture, and incredible museums. 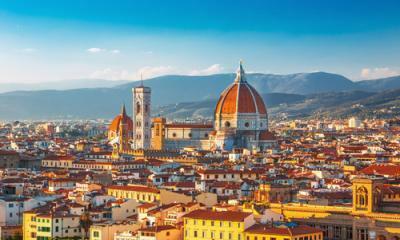 It ranks as one of the cheapest destinations in Europe. The atmosphere, the nightlife, and culture are incredible not forgetting the impressive internet speeds. When you do your homework well, you’ll land yourself on amazing deals on the plentiful co-working spaces and accommodation. The city is a popular hub for digital nomads to settle down and work. Lisbon embraces the digital nomadic life with wide-open arms. There are several choices of where to work that you can pick. There are bohemian cafes, luxurious office spaces, and working spaces where you can work alone or with others. Moreover, there are creative artistic hubs that are emerging in the city, where you can expand your creativity limit. Despite the cost of living being a little higher than Asia, the sheer amount of fun and working spaces you can use makes it worth every penny. No digital nomad eco-tourism list would be complete without mentioning Vietnam. It’s usually the first places for beginners in the nomadic life to cut their digital nomadic teeth, as the cost of living is low yet still have exotic solid facilities. In line with the mobile trading technology age, the city offers well-prized and plenty of collaborative spaces, meeting rooms and social rooms with decent internet speeds and power-points. The sense of freedom and enjoying new cultures and beautiful scenery makes a digital nomadic life complete. If you have not yet settled for any place, these destinations will be an excellent point for you to decide where you will start exploring while working.